Lystra Books and Literary Services is a small non-traditional publisher. We also offer editorial services and advice to self-publishing authors. 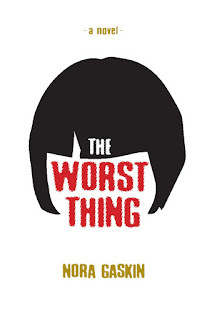 harassment by being so alluring—like Angel, in your novel The Worst Thing? have had to deal with since Adam blamed Eve. I would hope young girls could skip the princess stage and go right to the astronaut, athlete, writer, entrepreneur stage. mathematics) leaves out some important stuff, too. STEAM, with the A for Arts, is better. I admire creative women, women who are successful in business, and women who take control of their own destinies writ large or small. The problem is, not everyone can distinguish between the costume and the person who wears it. Sometimes, the person in the costume loses her grip on that distinction, too. In The Worst Thing, Angie loved her life of make-believe, as she worked as a model. Her maturation was interrupted by a traumatic event, so we don’t know who she may have become. Another character, Dorrie, fought back. influenced by the choices others make, as we all do. Do you follow real-life crime stories? testimony from California during the O.J. Simpson trial and the Menendez Brothers’ trial, then the networks would replay it all. I DO still watch crime shows on TV, both fiction and factual. And I published a non-fiction book, Time of Death, about a devastating crime in Chapel Hill, North Carolina, my hometown, that influenced me as a child, and continues to fascinate me. I think of the hows and whys of the crime, the way it was investigated, and the resulting false conviction. It still has impact on me and also on my community. I’m drawn to stories about justice gone wrong, especially wrongful convictions. I want to see justice done, but that means justice for the accused as well as for the victim. What draws you to reading and writing about crime? Why are crime stories compelling? how it works. And usually, the stories end with order restored. The bad actor is caught and gets his due, society is safe again. Or at least, we can hope. The title came to me early in the process. It was inspired by Kate Atkinson’s title, When Will There Be Good News? The answer is, pretty much never. In that book, things go from bad to worse to worse to worse. Early in The Worst Thing, we learn that our young protagonist, Kellah, believes the deaths of her parents in a freak accident is the worst thing that will ever happen to her. That belief gives her a fearlessness that borders on recklessness. Then she finds out the accident is just the worst thing so far. That is what happens in life. We can’t know what will come tomorrow, or five years from now. Yet we survive and continue to live in a world in which terrible things happen. Kellah must dig deeper than she ever thought she would to move forward. In May or June 2014, I had just reread Patricia Highsmith’s 1955 novel The Talented Mr. Ripley, and I wondered, what is it like to write a character like Ripley, a pure sociopath. Then I wondered, what would it be like to write a female character like Ripley. Kellah sprang to life. Kellah turned out not to be the sociopath that Ripley is, not to be as amoral, but she is outside of some cultural norms. Her fearlessness, amounting to recklessness, sets her apart. She doesn’t behave as other people do. She’s small, pretty, bookish—not the woman you expect to take on evil. But she doesn’t give it second thought. Kellah is still my female version of Tom Ripley. What did you come to learn when writing about the stalker, Albert? You seem to show fully the mindset of the criminal. Albert is trying to do the right thing. He is proof that we all want the same things in life, to love and to be loved. But he got it twisted and turned inside out. His is a life wasted. Dirty Deeds, introduced by Jeffrey Deaver as “some of the finest crime writers ever to set ink to paper and pixels to disk,” influence your writing of The Worst Thing? I was well into The Worst Thing when the offer to edit the second anthology in the Carolina Crimes series came along. Having the opportunity to edit 21 stories and work with 21 writers certainly added to my understanding of how crime fiction works. Some of the stories are darkly funny. Some are purely creepy. 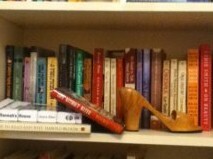 Most hold up a mirror to world, reflecting the same issues that lead me to read and write suspense. Years ago, a man who was clearly guilty of murder chose to plead guilty. As a person living the community in which his crime happened, I felt cheated. Since there was no trial, a lot of questions went unanswered. I felt that he was truly remorseful and even though there is no doubt about his guilt, I felt there was more to his story than ever came out. I want to explore a character with a conscience, who has a hard time living with what he’d done. I’m eager to see where that takes me. I’m sure it’ll be to unexpected places. Two suspense writers talk craft and paths to publication over lunch at The Belted Goat. Please call 919-542-3030 to reserve a place. Space is limited. The Best News is, THE WORST THING is almost here! The Worst Thing, a new novel by Nora Gaskin, will appear in the spring of 2018. As a publisher and author,** I have read a lot about how books come to be bought and sold. There are detailed marketing plans and some clever ideas out there, but here is how it works: readers buy books that are recommended by a trusted person. Don't you? Of course that trusted person could be a famous reviewer with a national following, but he or she is more likely to be a friend or family member. Sometimes he or she is a total and anonymous stranger. I've gone to Amazon just to read reviews, haven't you? 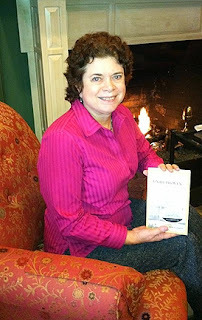 So if you've read a book that pleases you, make the author smile. Write a review for www.amazon.com or for www.goodreads.com. Tell five people. Buy it for a friend. The author who has sold millions of copies and the one who has sold tens of copies have this in common. They were readers before they were writers. And when they put the hours, days, weeks, months and years into a book, all they want is for one reader to like it and to tell another reader about it. I promise that's true. You may be thinking that Fame and Fortune must be involved, because why else would someone spend years on such an uncertain enterprise. I will promise you something else. F & F are rare in this crazy enterprise. Where they do exist, it is because way back in the misty past, one person liked a book and told another person about it. So ultimately, if you love to read, it's worth your time to make a writer smile. It is what keeps him or her going. **Until Proven: a Mystery in 2 Parts, written by Nora Gaskin, published by Lystra Books and Literary Services, LLC. Now this was fun. I hope all Lystra Books authors will have their 3 minutes in the spotlight! Those of you who live in the NC Public Radio broadcasting area know that Frank Stasio is a remarkable interviewer and a wonderful part of the community. His show, The State of Things, has formed its own community of listeners. I've been one of them for a long time, so it was a great honor to be interviewed on the show on April 9, 2013. Here is the link, if you would care to listen. Copyright (c) 2012. Lystra Books and Literary Services, LLC. Picture Window theme. Powered by Blogger.